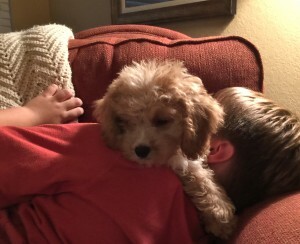 Life Lesson #2 from Baxter, the Cavapoo: Some days you just gotta nap. P.S. Even the folks in The Calling of Ella McFarland took naps once in awhile.